Tsukiji Fish Market is an absolute must for anyone visiting Tokyo. The market is at its best in the unimaginably early hours of the morning and winds down for the day around noon, so time is of the essence. As a visitor, you have a few options for approaching the market. Do you want to attend the infamous tuna auction, where highly trained middlemen purchase the biggest and best tuna for distribution to local and international clients? Do you want to eat more raw fish than you’ve ever dreamed at 6 o’clock in the morning? Do you want to wander around the market at the height of action, dodging forklifts and marveling at all of the fresh seafood? You want to do all of the above, of course! A limited number of tourists (my guess is about 100) are allowed to attend the tuna auction each morning. You’ll need to arrive at the Kachidoki Gate in the northwest corner of the market by about 4:00am in order to make the cut. Visitors are let into the freezing cold auction room in two groups, one promptly at 5:25am, and the second at 5:50am. You’ll have about twenty minutes to take it all in, from the massive tuna arranged in rows as far as the eyes can see, to the middlemen prodding the fish and examining the flesh to assess quality, to the auctioneer ringing the sale bell and speaking his rhythmic script to the tune of an imagined song. After the auction, at about 6am, dodge the forklifts, trucks, and scooters whizzing by and head right for the sushi counters. It’s never too early for raw fish, especially when it’s this fresh. The handful of higher-end sushi counters serving omakase (prix-fixe meal) based on the catch of the day are an excellent choice for those not on a budget. Those who wish to spend more modestly, between ¥2000-¥3000 ($20-$30), should seek out the nearest busy kaisen-don joint for the biggest, freshest, and best bowl of raw fish over a bed of rice. Gluten-free eaters should bring their own tamari or gluten-free soy sauce, as the majority of the traditional stands will not have gluten-free soy sauce at the ready. 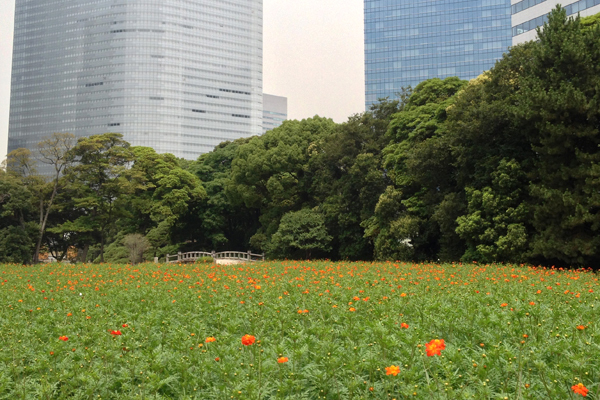 To wind down after the market, be sure to visit nearby Hama Rikyu Gardens. The grounds are extensive and diverse, filled with flower beds, duck hunting sites, plum tree groves, and a tea house. 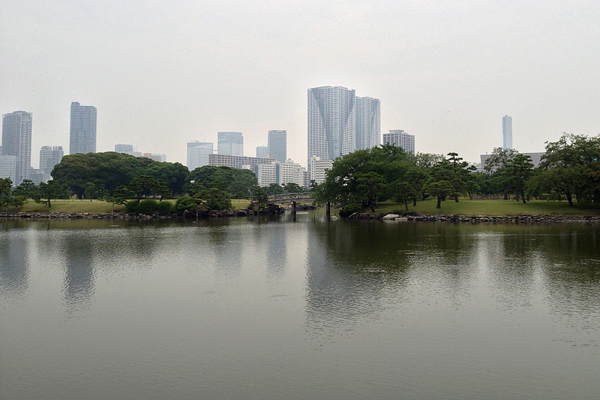 Quiet and peaceful amidst the city’s massive skyscrapers, Hama Rikyu Gardens are a lovely respite from bustling Tokyo. Where? 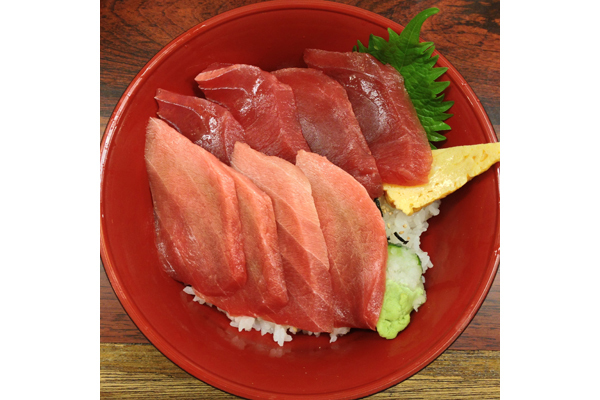 Tsukiji is located at the intersection of Shin-Ohashi Dori and Harumi Dori in Chuo, Tokyo.